“Let love be your highest goal! Dare to ask and believe! For the most part I think my wife would say that I treat her pretty well… and yet here I am confronted with the truth. Sometimes I find myself treating my wife harshly with the words that come out of my mouth, and with the tone in which I say them. 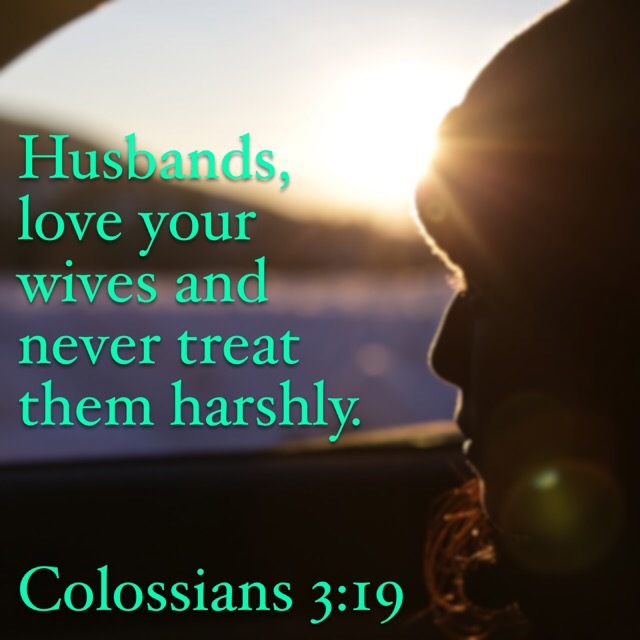 Husbands, it is so easy for us to verbally take out our frustrations from the day on our wives…we can’t be doing this…venting is one thing, but taking it out on them…not okay..
Take a few minutes and ask the Lord to reveal to you, any ways that you have dealt harshly with your wife. Then be a man and go to your wife, acknowledge how you sinned against her and ask for forgiveness.